The flag is agreed on, but what about the name? A member of parliament in Kazakhstan has dusted off a recurrent old favorite, proposing that the country’s name be changed — to Kazakh Republic. “We need to call things by their name: black is black and white is white. And Kazakhs are Kazakhs,” he said. Peruashev said that the new name would “restore historic justice” and “boost unity and amity among all ethnicities.” His strongest argument appeared to be that President Nursultan Nazarbayev is already on record as having made similar suggestions. 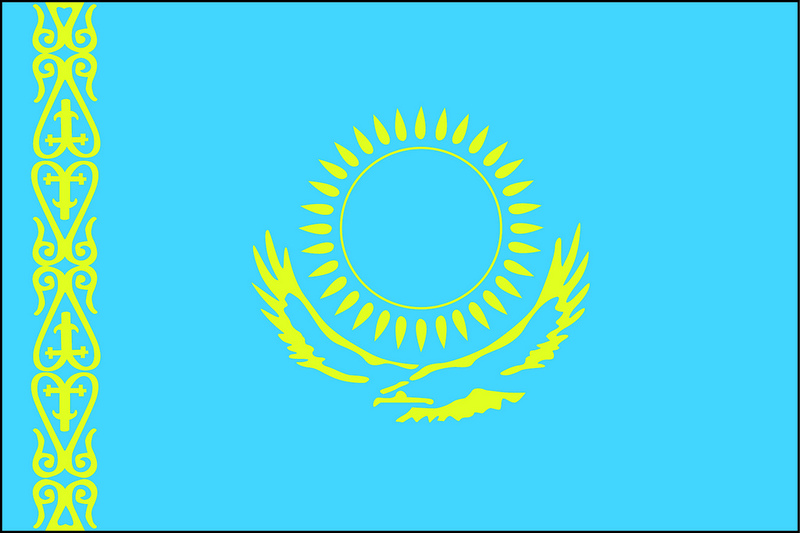 In February 2014, Nazarbayev floated the idea of ditching the -stan and renaming the country Kazak Eli, or Kazakh People. The implication often aired is that the -stan ending, which is derived from a Persian root and means land, leads many outsiders to lump nations like Kazakhstan with perceived hotspots like Afghanistan and Pakistan. “The ending of our country’s name is -stan, like the other countries in Central Asia. At the same time, many foreigners are drawn to Mongolia, a country of just two million people whose country does not have the -stan ending,” Nazarbayev said. Opponents of the idea grumbled that the country had far more pressing matters to deal with. The experience of neighboring Kyrgyzstan is potentially useful precedent. Rebranding efforts there in 1993 led to authorities officially adopting the title of the Kyrgyz Republic, which is the country’s correct formal name. This does not sit will with some, however, who feel that the name has baked in an exceptional status for the ethnic Kyrgyz majority at the expense of large but often marginalized minorities, like the Uzbek community. Public talk of reverting to Kyrgyzstan as a way of soothing interethnic tensions has never been granted serious consideration. As far as Kazakhstan goes, were any name-changing to occur, it could form part of an evolving exercise in asserting ever-stronger Kazakh national identity and, accordingly, shedding the abiding cultural and political legacies of Soviet and Russian imperial rule. In October 2017, Nazarbayev adopted a decree approving the Kazakh language’s transition away from the Cyrillic alphabet to the Latin alphabet by 2025. This too constituted a reversal to what happened between 1929 and 1940, when Soviet authorities abolished the use of the Arabic script for Kazakh in favor of more secular Latin writing. Cyrillic was only adopted after 1940. All this has not gone unnoticed by Russia, where chauvinist-inclined commentators have interpreted the shedding of Cyrillic as a hostile anti-Muscovite move. This kind of crypto-irredentist talk is on a semi-regular basis given air in Kremlin-friendly media. One Russian newspaper, daily tabloid Komsomolskaya Pravda, has already come out against Peruashev’s proposal, suggesting that he might be laying the ground for ethnic tension. “It is exactly with this sort of talk that many inter-ethnic conflicts began in the post-Soviet space. When Moldavia became Moldova, when Tajikistan became Tojikiston, when Chechnya became Ichkeria, and Yugoslavia became a cluster of warring micro-states,” the newspaper opined.